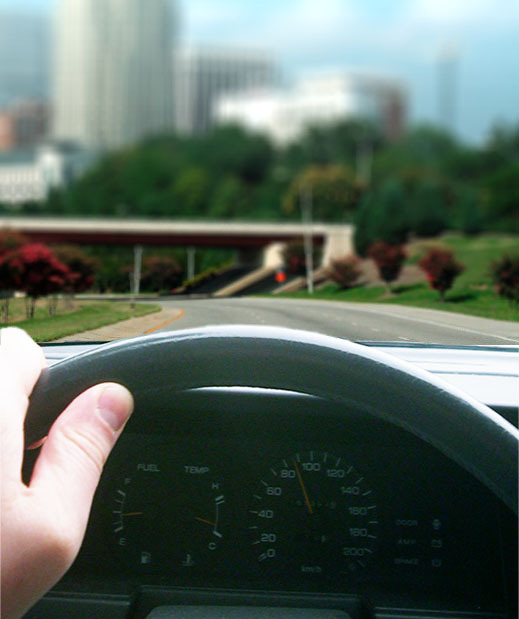 When individuals with myopia remove there correction, they see near objects clearly while distant objects remain blurry. Even small amounts of this condition can cause severe impairment while performing distance-related tasks such as reading road signs while driving. Unlike patients who have hyperopia, myopic individuals do not strain while trying to look at objects up close. In fact, myopic people will often remove their correction while reading up close. This is completely opposite to what a far sighted patient does when performing a near-related activity. Is Myopia Inherited from you parents? A 2012 review of animal and human epidemiological studies of heredity and environmental factors could not find strong evidence for any cause, which allows us to discredit many theories. Because twins and relatives are more likely to get myopia under similar circumstances, there must be a hereditary factor, but because myopia has been increasing so rapidly throughout the first world countries, environmental factors must be more important. A number of studies show that myopic individuals attain a higher level of education on average,and have a higher intelligence quotient (IQ). A 2008 literature review reports studies in several nations finding a relationship between myopia and higher IQ and between myopia and school achievement. Regarding the relationship to IQ, several explanations have been proposed. One is that the myopic child is better adapted at reading, and reads and studies more, which increases intelligence. The reverse explanation is that the intelligent and studious child reads more, which causes myopia. According to the two most recent studies, higher IQ may be associated with myopia in schoolchildren and is more common among students in gifted education. This is to be contrasted with hyperopia, the incidence of which is associated with lower IQ and educational attainment. Treatment for myopia has improved in recent years and many options are now available to our patients. 1. Contact Lenses – Contacts are a great option. You can also change the color of your eyes. Newer lenses are increasing the comfort of contact lenses for patients in recent years. This is a very effective form of treatment. 2. Glasses – Glasses act very similar to contact lenses by improving the distance vision. During the general eye examination, a prescription is always given to the patient, and glasses are an excellent option for treating a myopic patient. 3. Corneal Refractive Therapy – Special hard contacts are used to mold the cornea during sleep. They are removed in the morning.